Please make sure that your child has the appropriate PE kit in school. They should have black shorts and a red t-shirt for indoor PE. Children should have sturdy trainers for outdoor PE. If there is cold weather children can wear jogging bottoms instead and a black jumper or hoody. Please ensure that all PE kit is labelled. Thank you. Maths - may be an activity set on DoodleMaths or may be a written exercise. Spellings - spellings are also a great opportunity to practise handwriting. Please support your child to develop consistency in formation and letter sizing and, later on in the year, joins. We will be working on this over term 1 and 2. Reading - to be done everyday. Children will be given a sticker every three reads. 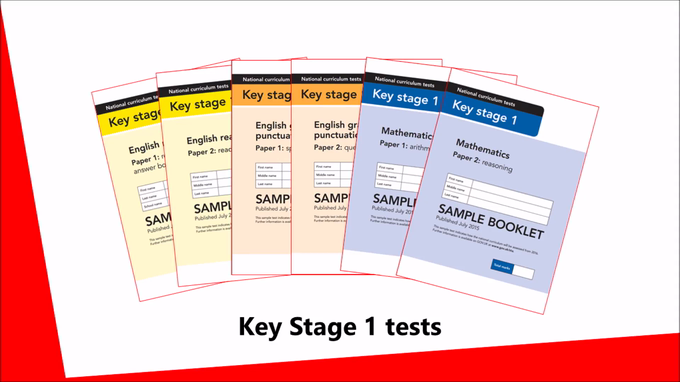 A useful video that explains the Key Stage 1 SATs.